. :Official Internet Home of Ray Moore:. April 12th, 2018 - Race fans we wanted to give you an update on Ray and his racing program. He’s currently focused on his family business, but he hopes to be returning to action very soon. Thanks for everyone’s support and check back often for updates on when Ray will be back behind the wheel of his familiar #93. 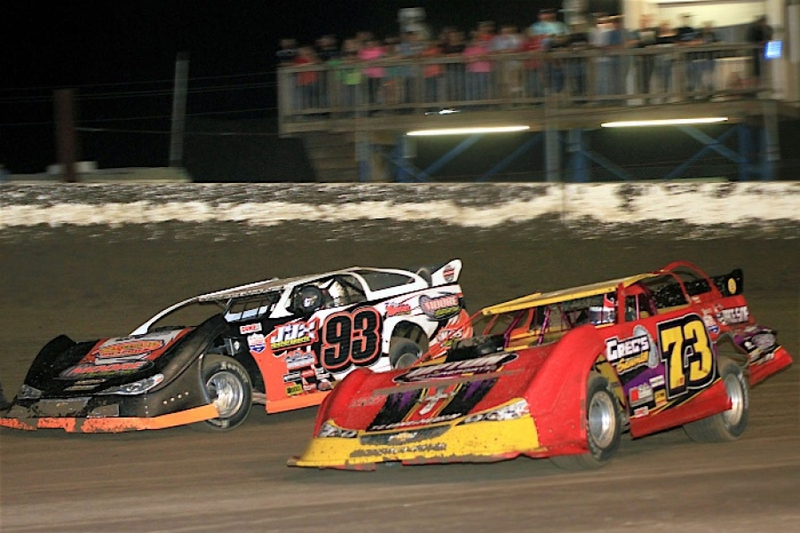 March 17th, 2017 - Ray Moore kicked off the 2017 season on Friday evening at Ark-La-Tex Speedway (Vivian, Louisiana) for the annual Pelican. 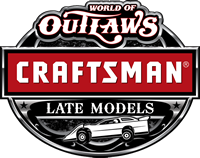 Drawing 25 Super Late Models for the unsanctioned contest, Moore posted a 6th place finish in his heat putting him 16th on the starting run down for $5,000-to-win A-Main. Moving up four spots in the 50-lapper, Moore registered a 12th place finish. Complete results from this event are available at www.ArkLaTexSpeedway.net. January 25th, 2017 - Traveling to 18 events throughout the 2017 campaign, Ray Moore captured two P&W Sales Southern United Professional Racing (SUPR) series sanctioned A-Main wins. Losing two of his dates to bad weather, Moore posted seven Top 5 outings. Complete results from this event are available at www.StateSeries.com. 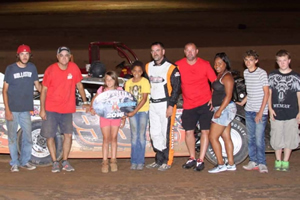 September 4th, 2016 - Running in the three-night COMP Cams Super Dirt Series (CCSDS) weekend, Ray Moore visited Crowley’s Ridge Raceway (Paragould, Arkansas) on Friday night for the Labor Day Classic. After running in the Top 10 late in the $3,000-to-win A-Main, Ray suffered mechanical issues sending him back to a 21st place outing. 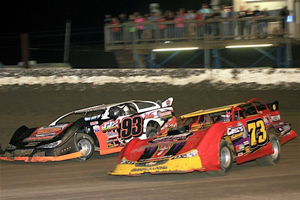 The following night brought 28 CCSDS Super Late Models to Riverside International Speedway (West Memphis, Arkansas) for a chance at a $2,500 payday. Following the fastest time overall, Moore landed a runner-up finish behind Allen Tippen in his heat giving him the 6th-starting position for the feature. Breaking into a podium spot, Ray gained three spots posting a 3rd place finish behind Allen Tippen and Mason Oberkramer with Chris McElhenney and Jack Sullivan rounding out the Top 5. Complete results from these events are available at www.COMPDirt.com. 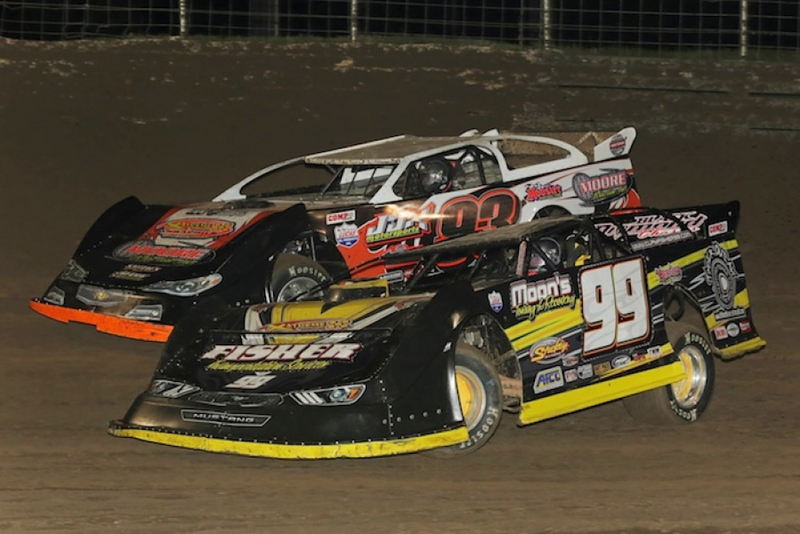 August 6th, 2016 - Making the haul to Cedar Lake Speedway (New Richmond, Wisconsin) on Thursday night, Ray Moore was one of 50 Super Late Models signed in for the three-day World of Outlaws Craftsman Late Model Series sanctioned USA Nationals. Receiving one of the 13 FANSFund slots to make the 15-hour trip, Moore recorded a 7th place finish in his heat sending him into the B-Main. Transferring the top two into the opening night $6,000-to-win A-Main, Ray fell back to a 9th place outing. On Friday night Moore posted a 7th place finish in his heat sending him into the B-Main for another shot at the $50,000-to-win main event on Saturday. Earning a starting spot into the 12-lap FANS Fun Dash, Moore posted a 12th place outing. Transferring the top two out of the consolation event on Saturday, Ray logged a 14th place outing bringing an early end to his weekend. Complete results from these events are available at www.WoOLMS.com. Complete results from this event are available at www.SuprRacing.com. 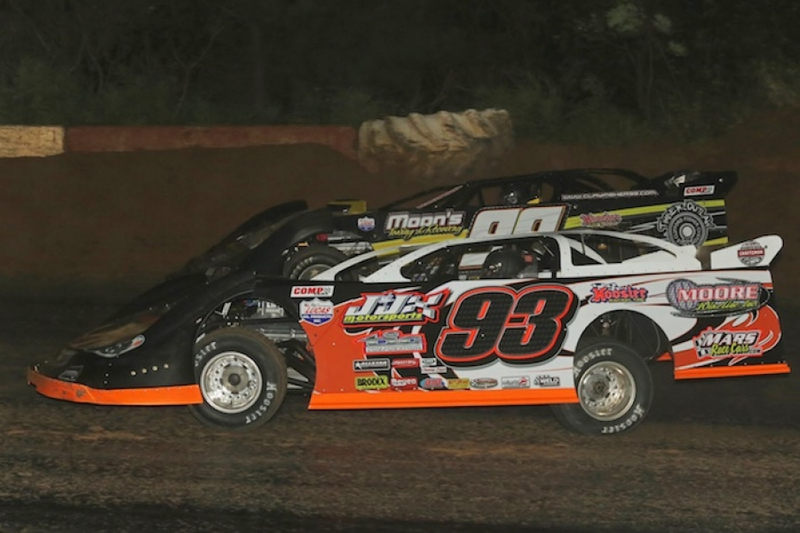 July 1st, 2016 - Competing in the P&W Sales Southern United Professional Racing (SUPR) event, Ray Moore visited Timberline Speedway (Corley, Texas) on Friday night for the Stars & Stripes Shootout. After running into trouble and placing 8th in his heat race, Moore scratched from the main event. December 23rd, 2015 - Competing a total of 16 events during the 2015 season, Ray Moore picked up one win at Ark-La-Tex Speedway (Vivian, Louisiana) for the P&W Sales SUPR sanctioned event. With the weather determining the outcome of two of his scheduled dates, Moore recorded 12 Top 10 finishes and nine Top 5 outings.